The definition of faith is complete trust or confidence in someone or something. In aspect of Christianity, faith is an overwhelming trust in God, our Savior, and the Holy Spirit. In Hebrews 11:1, it is the assurance of things hoped for and the conviction of things not seen. Living in faith means walking in confidence of what the Lord says to be true, not what the world does. Faith does not need proof. Faith does not need facts. Faith is an emotional truth founded in our hearts, on the Word, by the Spirit. Tweet this here! The mustard seed is mentioned several times in the Bible, being the smallest of the seeds. Jesus claims here that if we have no faith we are unable to accomplish what he commands of us. 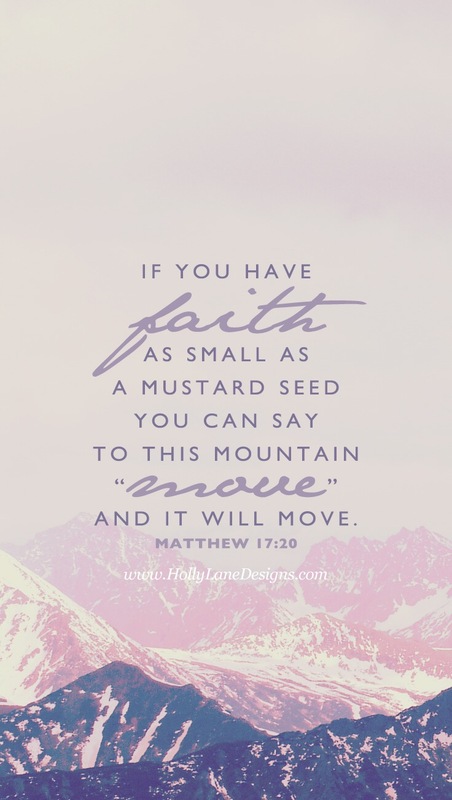 However, if we have faith, even that of a mustard seed as small as it is, we will have the power to move mountains. Nothing will be impossible if we trust in Him. 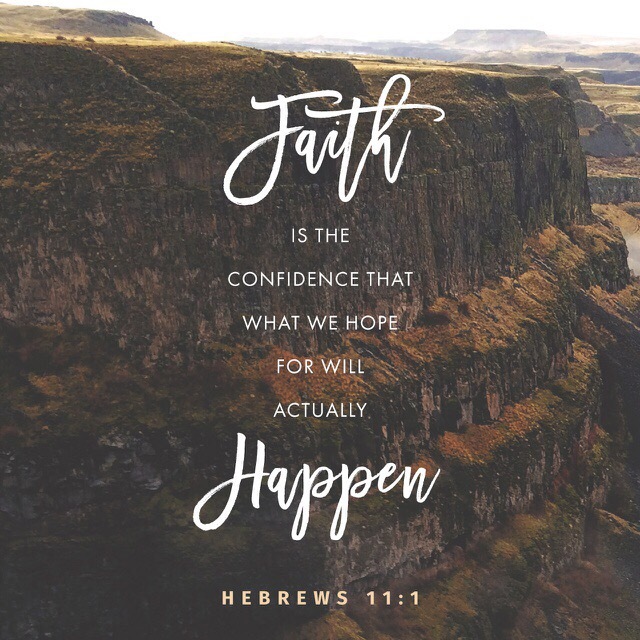 How amazing it is to know that even though we may not be capable of insurmountable faith, (because let’s be honest if the disciples did not have the faith to cast out demons then surely we do not either) faith of even a small size can be powerful. Through faith we can accomplish beautiful, God-ordained work. I will tell you the truth, though. Some days I don’t have enough faith to move my own two feet. I feel sluggish, doubtful, unworthy. The world, an ocean of evil and insecurity, washes away my faith like the small seed it is. What is the answer to our tiny, swaying faith? Prayer, of course! “And without faith it is impossible to please him, for whoever would draw near to God must believe that he exists and that he rewards those who seek him.”(Hebrews‬ ‭11:6‬). Seek God earnestly with the belief that he is real. Pray every morning and night that he will restore your faith and draw you nearer to him. Faith is a conscious effort to believe and a subconscious endeavor in trust. Faith and assurance are interchangeable terms, so rest assured that what the Lord has promised for you will be fulfilled. And believe in His promise that when though you have not seen him, you love him. And even when you do not now see him, you believe in him. And then you will rejoice with joy that is inexpressible and filled with glory. 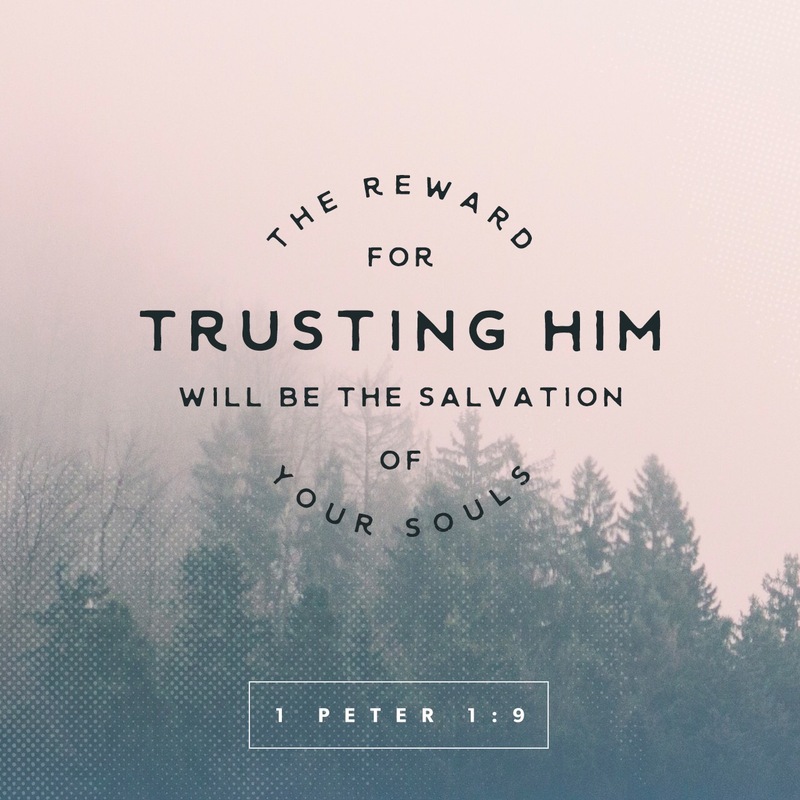 You will obtain the outcome of your faith: the salvation of your souls (1 Peter‬ ‭1:8-9‬). 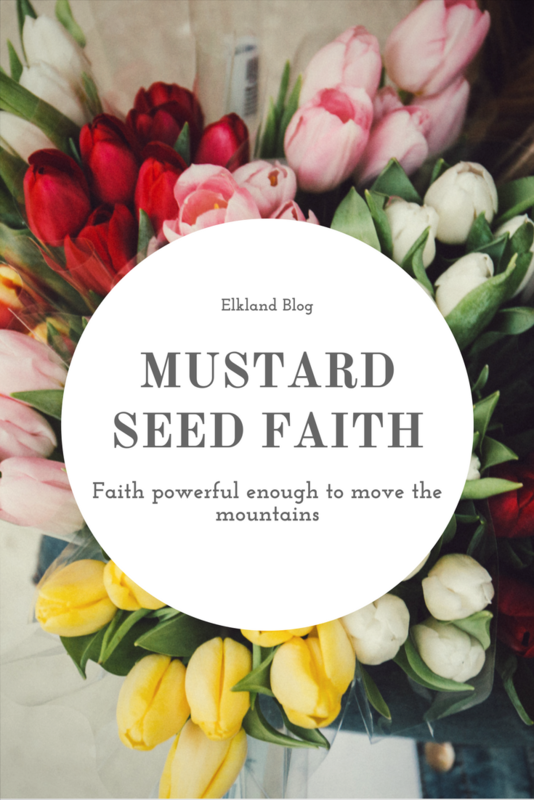 The only thing now to do is to take that leap “of faith.” First, pray for mountain-moving confidence, more than mustard seed trust. Next, believe in his power to fulfill what you ask. Then, see amazing things happen in your life and rejoice. You might even want a reminder like I do, of the mustard seed and it’s beautiful meaning on faith. If so, I included this necklace here. Take a look! Join us in two weeks for Part 3 of A Piece of Faith! All it takes is just that very little bit…..
A little bit of faith can truly go a long way. Great post, and something I needed to hear today. Yes, it can! And I’m glad this was helpful for you! That’s what this blog is all about. Thanks! And just like that, this touched my heart exactly where I needed it to! We recently moved due to husband’s new job and things feel a bit crazy! Gotta remember to keep up the faith! GREAT POST! It is such a blessing to hear that. I will be praying that amongst the craziness you find peace. Thank you for sharing! I will never forget praying over my son’s arm and seeing God heal it before my family’s very eyes. After everything settled down, I remembered thinking, “Why can’t God do this through all Christians and why not everyday?” Since then, I’ve realized that faith, like love, is something you must persevere for. Thank you for your article. Wow, that is so amazing to hear! I believe faith takes patience, too. Wait on the Lord and He will work miracles before your eyes! God is the giver of all good things, including faith. So often I have prayed along with the man in Mark 9:24 “Lord I believe, help my unbelief!” I know the tendency in my own heart to wander & I am forever grateful that God is the One holding me & is indeed both the author & the finisher of our faith. That is so beautiful! Our human nature is to stray, but in His perfect love we are always brought safely back into his arms! I love the reminder of the mustard seeds. Just a tiny bit of faith can move mountains. Yes, it can! Which is amazing because sometimes that is all I can muster but God can do amazing things with it! Faith is what allows us to have hope in the face of obstacles and struggles. I appreciate the reminder that a little can go a long way in God’s hands. We will face so many obstacles in this life. I thank God that through faith we will not withstand them alone! Lord, I believe, but help my unbelief! I pray to have a faith that would move mountains! These are some of the most encouraging verses in the Bible. Thanks for putting them all in one place and for the reminder! Great reminder for our hearts! This post was pulling on my heart strings. Exactly what I needed to hear at the perfect time. After having a miscarriage, my faith has been strengthened through walking with the Lord while grieving. This post brings me so much comfort with the sweet reminder to have faith when it’s hard.Thank you! Great post! I needed this reminder today. Thank you, I have so much struggle in my life. This post reminds me how much God loves us, and how we are secured in His hands. I am so glad you found comfort through this!